We urge you to compare the costs of a retrofit versus insurance. All the evidence shows that you and your retrofitted house should more or less be fine , though only a structural evaluation can confirm this. As you can see by the damage photo on the previous linked to web page, the cost of repairing a retrofitted houses in many cases will be less than the deductible on your insurance policy. Q. Could the CEA pay all of its claims if there is an earthquake? This may be true but the amount of damage an earthquake on the Hayward Fault will cause is many times more than that. The Loma Prieta earthquake caused 570 million dollars in claims, so between these two earthquakes 15.5 billion dollars in claims were made. No on had earthquake insurance in the 1906 San Francisco earthquake so mentioning this as something relevant is deceptive. The Hayward Fault earthquake caused 165 billion dollars in damage, which will be 7 times greater than the Northridge/Loma Prieta earthquakes. A 300 billion dollar San Andreas quake will be 20 times greater. If the Hayward Fault and Los Angeles faults erupt together there will be 465 billion dollars in damage. Insurance and retrofits are not mutually exclusive and if you want to be prepared for the very worst scenario you might want to do both. But if not, remember, you pay for a retrofit only once. The cost of a retrofit usually has a pay back of 4-6 years and will serve to protect you far more than an insurance policy. More importantly, a seismic retrofit can allow you to avoid the most serious consequences of the disaster altogether and rather than dealing with a catastrophe you are now dealing with an inconvenience. In short, a seismic retrofit can protect your home, your finances, and your health. 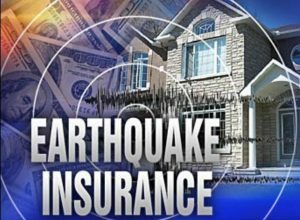 Should I Carry Earthquake Insurance or Retrofit my House? Earthquake insurance will not protect you from harm. Earthquakes can kill or seriously injure people, especially in soft story, hillside, or other vulnerable homes. A retrofit could save your life; earthquake insurance cannot. Losing a home and/or bodily injury creates extreme stress. This makes getting your house and life back to normal difficult and time consuming. Besides Red Cross shelters temporary housing alone will be difficult to find and cost a fortune. You will probably need to leave the area and stay with relatives. Temporary housing and loss of work can add up. Structural earthquake damage to a home can be considerable; even devastating, and very expensive to repair. An added concern is that due to high demand finding a contractor will be difficult to find; delaying rebuild time. Even if you have insurance you might not be able to collect on it. In the event San Andreas and Hayward Fault earthquakes happen more or less at the same time, then what? I guess they took it down because it was bad for business.